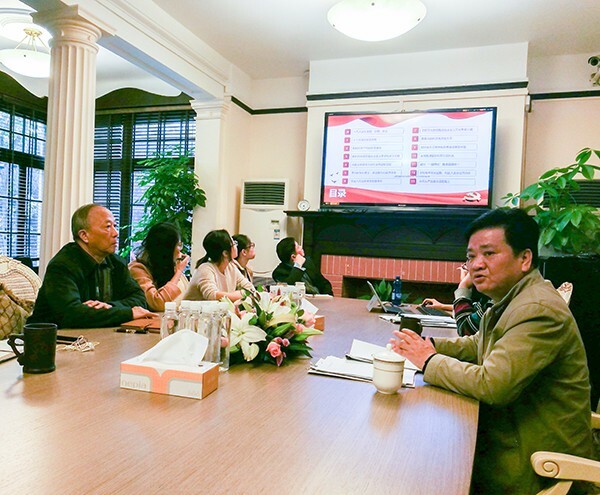 On the morning of November 6, the Shanghai Soong Ching Ling Foundation held the meeting to learn the report of the 19th National Congress of the Communist Party of China, and the foundation acting secretary general Jia Yong and all staff attended it. According to the foundation's schedule, the first study meeting focused on reading and understanding the key paragraphs of the 19th CPC National Congress Report, such as "The Theme of the Congress", "The Initial Intention and Mission of the Chinese Communists", "The Extraordinary Five Years", "The Ten Great Achievements", "The Historic Change", "The Creativity of the Party" and "The Socialism with Chinese Characteristics Enters a New Era", to help all staff have a preliminary understanding of the 19th CPC National Congress Report. 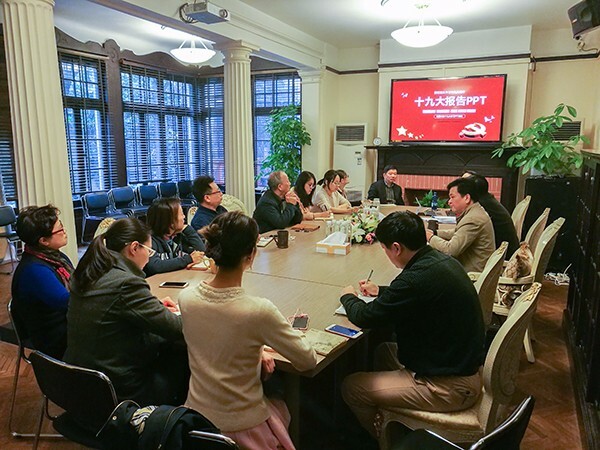 The study meeting took the form of reading in turn, so that each participant can enhance the sense of participation, and deepen the understanding of the 19th CPC National Congress Report. The foundation provided the full text of the 19th CPC National Congress Report to each employee for further study. The foundation’s staff earnestly learns the spirit of the 19th CPC National Congress Report.